When they’re working, garages are often the simplest forms of security. They go up and they go down, all with either a button click or a handle. When they break down, however, garage doors become an incredible hassle. You need considerable tools for garage door repair, and fixing it correctly takes a skilled hand and a great deal of knowledge about garage door operations. Our experts can help you with your garage door repair 24 hours a day, 7 days a week. We have the tools and techniques necessary to repair both old and new garage door styles, allowing you to continue to use your garage in a few hours or less. All of our FC Locksmith technicians are updated on the latest styles, and keenly aware of how to solve your garage door issues. Garage door repair services are vital for keeping your car and storage safe, holding heat in your home, and protecting an entrance that leads to your house. Rather than wait to try to fix it yourself, only to run into considerable problems, call FC Locksmith and let us send our team of experts to your home, providing you with quality garage door repair at an affordable price. 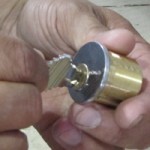 Let FC Locksmith help you with your garage door repair needs. 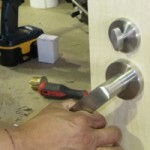 Call us today to schedule an appointment, or learn more about our locksmith services.